Do you know the difference between a freelancer and an entrepreneur? Let’s be clear on the difference between these 2 words. I’ve seen the terms used interchangeably but there is a difference in mentality these words both imply. Knowing the difference between these two terms is essential for everyone because it determines the course of action and structure of each business. A freelancer is someone who gets paid when they work. You are selling your time. If you work that day then you get paid; if you don’t work that day you don’t get paid. An entrepreneur is building something bigger than themselves and their work can continue without them. As a freelancer you work for yourself and other companies hire you to take on certain tasks. In other words, the final product you create is for the sole benefit of another business. As a freelancer you can determine how much you earn based on the number of clients you accept and the number of projects you complete. This also means you will be responsible for administrative tasks as well. Of course you can hire someone to complete these administrative tasks for you but that’s money out of your pocket and everyone wants to save money, right?. Entrepreneurs take the time to build businesses and take on all of the risks upfront. As an entrepreneur you are working to create something that is moving towards the creation of a team. Entrepreneurs will still have to market their business and implement ways to collect payments from clients but more than likely those responsibilities will be handled by someone other than yourself. Now that we know the difference I’ll use real people to illustrate the point. 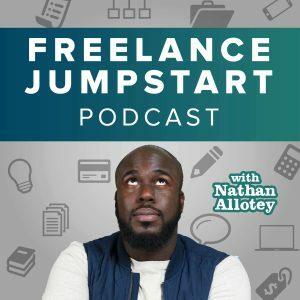 Seth Godin is an author and marketing consultant so he falls into the category of a freelancer, because he has to work if he wants to create income. Throughout the years he has created businesses but if he wants to get paid directly then he has to produce work. Steve Jobs was the co-founder of Apple and served as the chairman and CEO of the company. Whether Steve worked or not he still would have a share in the revenues. Today, Apple continues to operate without him and for this reason he falls into a category of an entrepreneur. Even those of you starting out solo think about it, do you want to remain working as a lone ranger, or are you looking to build a team? If you truly want to grow and scale your business as you get more projects you have to identify the areas you want to pass on to another. Do I want to be a freelancer or entrepreneur? Do you currently work at 9am - 5pm job that you love? Do you enjoy talking and interacting with other people? Working with a project from beginning to end. How often do you get new ideas? Do you often find yourself procrastinating with hobbies instead of focusing on your main task? Are you talented at explaining things in such a way it makes other's want to take action? When you are having difficulty with something do you? Are you comfortable talking to other people about investing in your ideas? Do you enjoy teaching other people? Hey, Man! Downloaded your video a few days back and watched it today. The content was good and read the article, and I like the points as well. But, I’m not satisfied with the quiz at all. Some of the questions apply to both freelancer and Entrepreneur. Like Hiring one because initially, both can’t hire someone because of the funds they have (small pockets). Initially, every single company starts with only 1-2 guys and at the initial stage they have to maintain all the tasks by themselves whether they like it or not. Rest, your work is great man keep it up. Hey someshl, thanks for your comment. You’re right, when you are first building a business there are some things that you will do because you are in startup phase and you are wearing many hats. The key is to recognize whether you like doing the work. If you had the funds would you still want to do the work? The quiz is somewhat of an appetizer to something larger i’m working on. I’m glad you spoke up because I’ll use your feedback to make the quiz larger and more detailed.